Available in 5 attractive colours, your little one will never have the excuse of losing their pencil again. 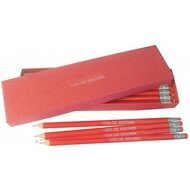 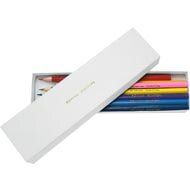 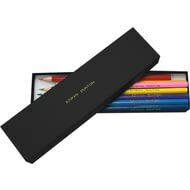 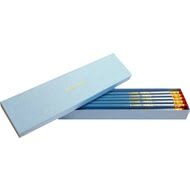 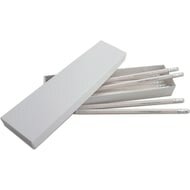 Each pencil in this colourful set of 20, is gold embossed with any name up to 22 characters. 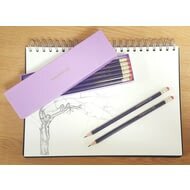 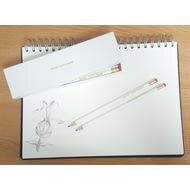 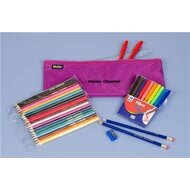 Perfect as a back to school gift, an end of term gift or a gift for a budding artist. 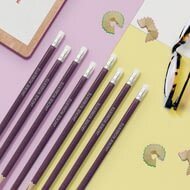 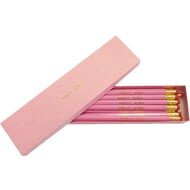 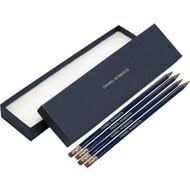 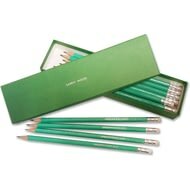 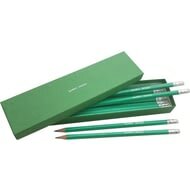 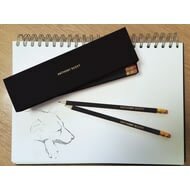 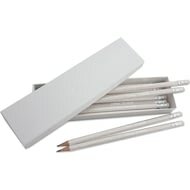 Presented in a matching box these 12 HB pencils are expertly embossed in gold with any name up to 22 characters. 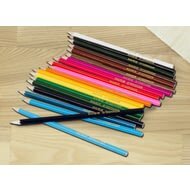 They'll be the envy of the classroom with this set of 12 colouring pencils - and they have no excuse for losing them! 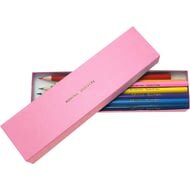 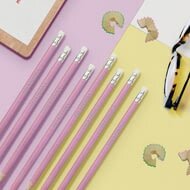 Available in 4 attractive colours, your little one will never have the excuse of losing their pencil again. 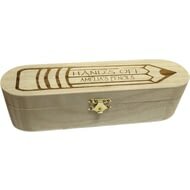 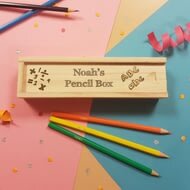 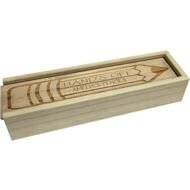 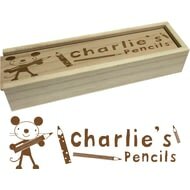 This wooden pencil box is personalised with your childs name and comes filled with 12 colouring pencils. 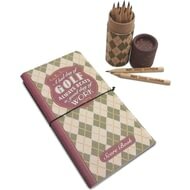 A practical personalised gift for Golf lovers which consists of a score card note book and a pot of personalised wooden pencils. 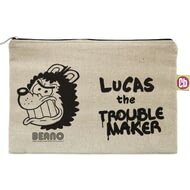 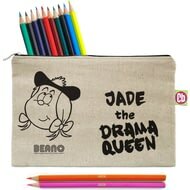 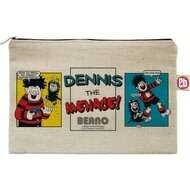 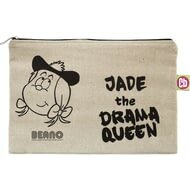 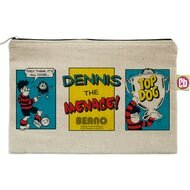 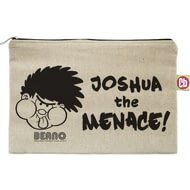 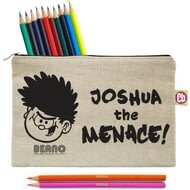 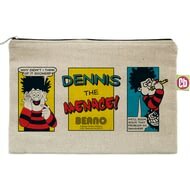 This prank themed official Beano comic strip pencil case, can be personalised with any name of up to 15 characters, above the fixed text 'The Menace'. 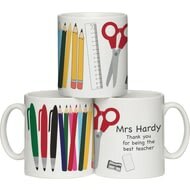 Perfect for the last day of term! 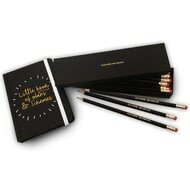 This set contains a lovely black A6 lined notebook, which has 'Little book of plans & schemes' printed in gold foil writing on the front and back with gold page edging. 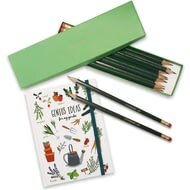 This set contains a lovely garden themed A6 notebook, which has ‘Genius Ideas for my garden’ printed on the front.